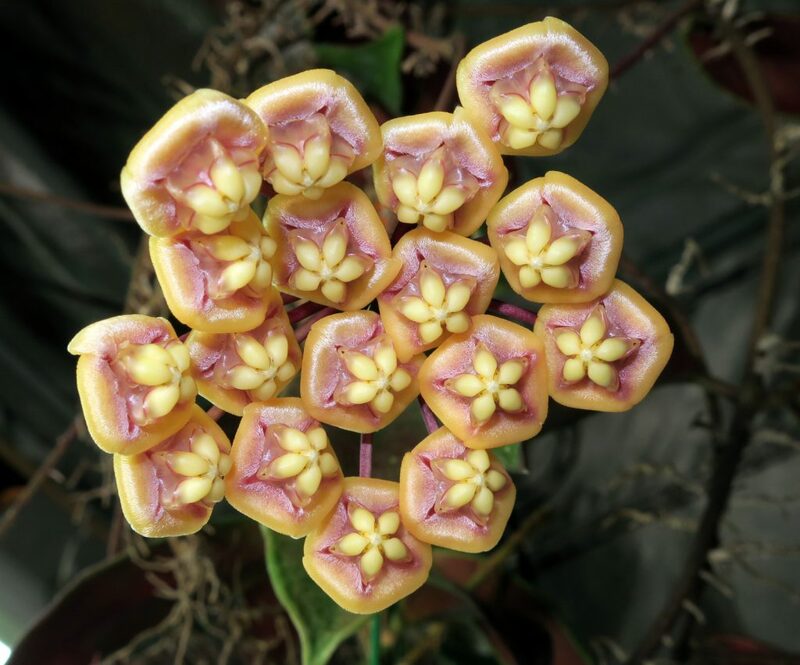 Hoya kloppenburgii was collected in Nabawan, Borneo, Malaysia and described by Ted Green and named after his friend and fellow Hoya collector Dale Kloppenburg. The flowers last a good long time, anywhere from 8-10 days. I received my plant as a very small cutting, which came from a well known collector in Sweden, by way of my friend Julie Kennedy in in the UK. I have grown the plant since I have had it in leca using the semi-hydro method. It seem to grow and flower quite easily using this method of cultivation. It flowered in only seven months. As of April 2015, it has thee peduncles two of which are in bud. The peduncles are around five inches in length with the flowers measuring about a centimeter. I have to say that I love this plant, and it is my favorite Hoya of the moment.